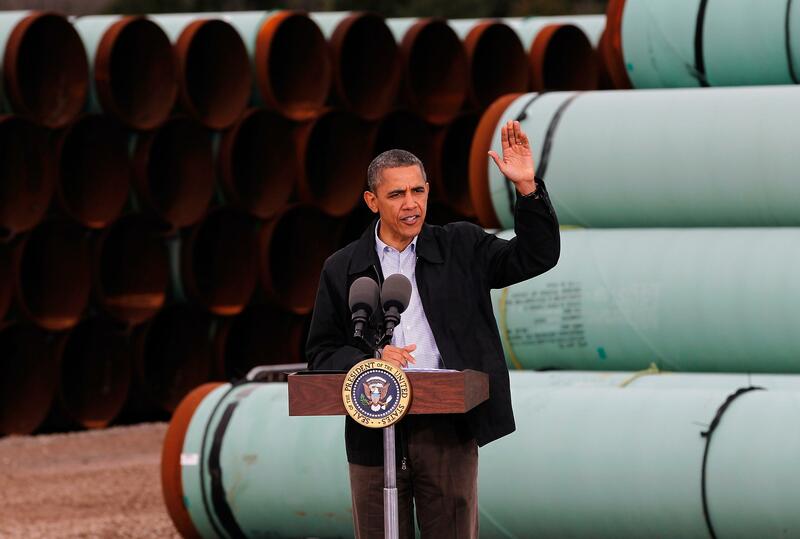 State Department: Keystone XL pipeline would be pretty much fine. Obama may find himself stuck between a rock and a pipe place. President Obama managed to punt the issue of Keystone XL Pipeline approval past the 2012 election, waiting until a new assessment by the State Department determined the impact of construction. That mollified his environmentalist base, and by extension encouraged Tom Steyer to throw money behind anti-Keystone candidates in 2013. It (obviously) frustrated Republicans, first when they lost the election anyway, second when they failed to attach Keystone to any of 2013’s must-pass bills. Cumulative impacts associated with the proposed Project and connected actions vary among individual environmental resources and locations. Generally, where long-term or permanent impacts from the proposed Project are absent, the potential for additive cumulative effects with other past, present, and reasonably foreseeable future projects is negligible. Keystone’s CMRP and planned mitigation measures, individual federal and state agency permitting conditions, and/or existing laws and regulations would, if permitted, work to control potential impacts and reduce the proposed Project’s contribution to cumulative effects. In crude political terms, it’s perfect timing. Republicans have been wrestling over what to demand from the next round of debt limit negotiations; as I wrote earlier today, the latest idea is fairly terrible. Every time the GOP’s slipped Keystone into a must-pass bill, the president’s threatened to veto it. Can he reverse that position, and reverse his previous (and largely successful) stance against attaching any real policy to the debt limit? That would be tricky. Republicans will have an easy time asking for it, though.